Avtrade is pleased to announce the addition of three new managers to the Sales department. These appointments will continue to increase the high levels of support Avtrade offers to all its customers. Lucinda Szuromi and Irina Hood have been appointed as Regional Account Managers and Jordan Whibley as the new Stock/AOG Manager. Lucinda joined Avtrade in October 2014 as a Sales Executive, having previously worked in customer care and exchange for a leading parts supplier to the Aviation industry. With valuable knowledge of customer requirements and the skills necessary to nurture and build successful relationships, Lucinda has now been appointed into the new position of Regional Account Manager for The United States of America. Focus in her new role will be on providing dedicated account management throughout her region. Irina joined Avtrade in 2010 as a junior member of the Sales team, quickly gaining promotion to Sales Executive looking after the Russian and Eastern European market. 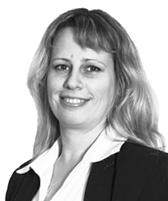 Utilising her language skills and flexible working, Irina provided high level dedicated service and support to her customers throughout the region. 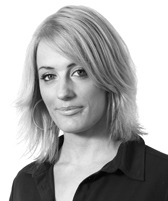 Irina has now been promoted to Regional Account Manager for Scandinavia. Irina’s objectives will be to grow the client base and business opportunities in these regions, whilst providing a high level of customer support to existing clients. With a background in Sales, Jordan joined Avtrade in September 2013, bringing with him valuable sales experience and the ability to successfully cultivate and build relationships. Working on Avtrade’s AOG desk, Jordan has adapted quickly to the Aviation industry. Jordan has now been promoted to Stock/AOG Manager, where he will manage the 24/7 AOG team. 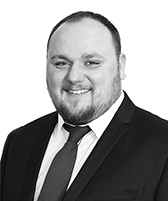 His strong sales and customer skills will enable him to maximise sales and business opportunities whilst providing high quality, 24/7 customer support and service.